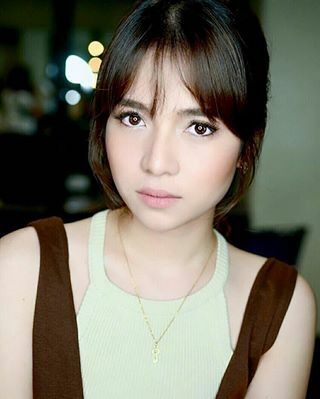 Kristel Fulgar is a Filipina television and movie actress and singer. She is best known for her appearances in Goin’ Bulilit, Maria Flordeluna, Dahil Sa Pag-ibig, Got to Believe and Bagito. Her videos of her singing while driving became viral on YouTube in early 2016. She has amassed more than 1.4 million followers on Instagram and over 125k followers on Twitter. Born Kristel Aina Oquindo Fulgar on December 29, 1994 in Manila, Philippines, she is of the Iglesia Ni Cristo religion. She attended and graduated in 2015 from the University of Santo Tomas with a Bachelor of Arts in Communication Arts. She made her film debut in Malikmata (2003). *She was born on December 29, 1994 in Manila, Philippines. *Her birth name is Kristel Aina Oquindo Fulgar. *Since 2002, she has been represented by Star Magic. *Follow her on YouTube, Twitter, Facebook and Instagram.